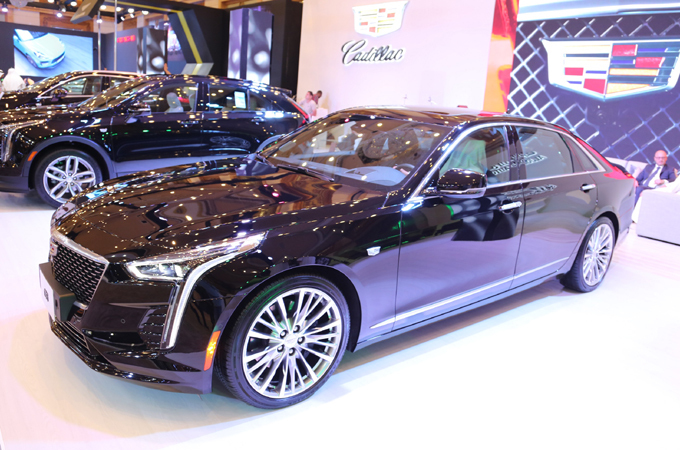 Cadillac revealed the new 2019 CT6 for the first time in the Middle East at this year’s EXCS luxury car show in Jeddah, Saudi Arabia. The luxury car brand showcased its flagship facelifted sedan model alongside the new XT4 compact SUV, the XT5 mid-size SUV and the 2019 Escalade full-size SUV. Making its regional debut on the exhibition’s Cadillac stand at the Hilton Jeddah, the new 2019 CT6 incorporates the brand’s new “Y” trim level strategy, which first came to the Cadillac XT4. Also on display was the XT4, Cadillac’s first-ever compact SUV. Launched in the Middle East in December, the all-new XT4 features the brand’s new 2.0L Turbo engine and advanced technology. Setting high standards of innovation in one of the industry’s fastest-growing segments, the model delivers expressive design, confident performance and a spacious interior.